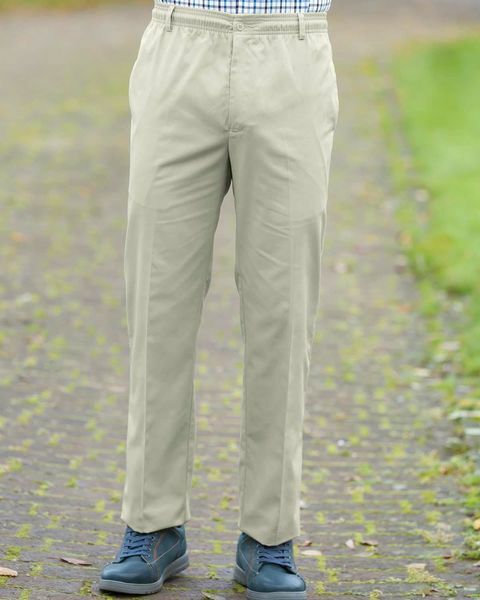 Mens Casual Drawstring Trousers, with button and fly fastening. Fully elasticated waist trousers with button and fly fastening, internal drawstring and belt loops. Side pockets and button fastened back pockets. Available in Airforce Blue and Stone. 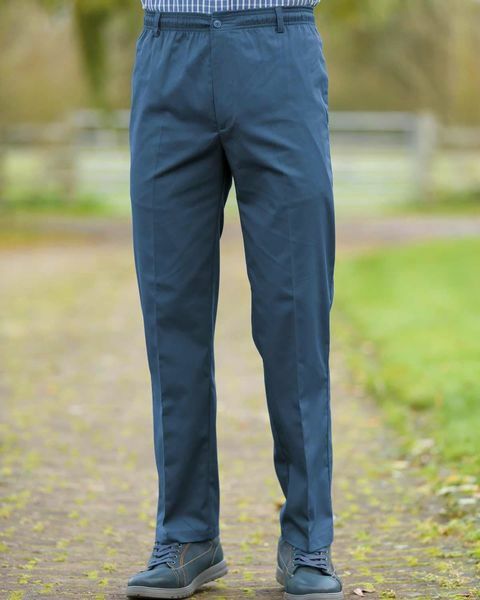 A great everyday trouser.